A Venom spin-off has been talked about for a few years now. 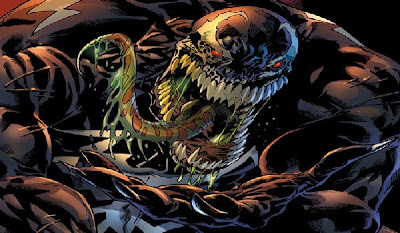 Sony would like to continue their Spider-Man success and branch it out by giving Venom a film of his own. The biggest area of interest surrounding a Venom movie, is how the hell are they going to tackle the story without bringing Spidey into it. Unfortunately, Reese and Wernick kept completely mum on specifics of their draft, other than saying they have actually turned in "two drafts". Paul Wernick said, "We've written two drafts of Venom, and the studio has it, and they're pushing forward in whatever ways they push forward." The media outlet pressed a bit harder on Wernick asking when we could expect a production start date, but he only shrugged it off. "We're not sure, [but] we've turned in our two drafts," Wernick said.